Also known as wind scorpions, jerrymunglum, sun scorpion and sun spiders, the camel spider may grow to a length of 12 inches (including legs) and generally inhabits warm and arid habitats, including virtually all warm deserts and scrublands on all continents; with the exception of Antarctica and Australia. Some camel spiders may also live in grassland or forest habitats. Because the camel spider moves very quickly on land, in comparison to other invertebrates, most species successfully feeding on termites, darkling beetles, and other small ground-dwelling arthropods. Furthermore, some camel spiders are opportunistic feeders and have been recorded feeding on rodents, snakes and small lizards. 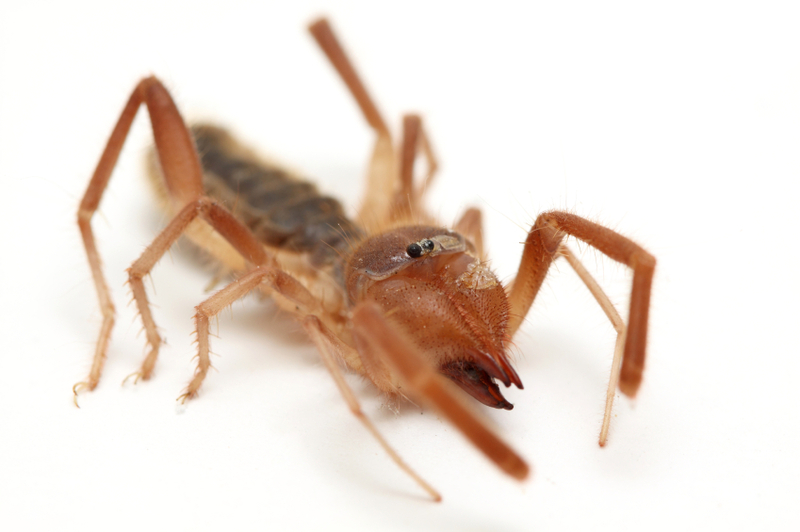 Because of the many exaggerated urban legends about their size, speed, behaviour, appetite, and lethality, many people who encounter a camel spider are startled by; or afraid of them. The greatest threat this species of spider poses to people, is a defensive bite they may inflict when handled. There is little or no chance of death directly caused by the bite, however due to the strong muscles of their chelicerae, they can produce a large, ragged wound that is prone to infection. Other than that, camel spiders have no venom, do not spin webs and generally do not cause pest control problems, for property and home owners.